Aesculus hippocastanum or the Horse-Chestnut is a majestic, large domed, deciduous tree that is popular in the parklands of Europe and is also fairly common in the cooler areas of Australia, like Tasmania. 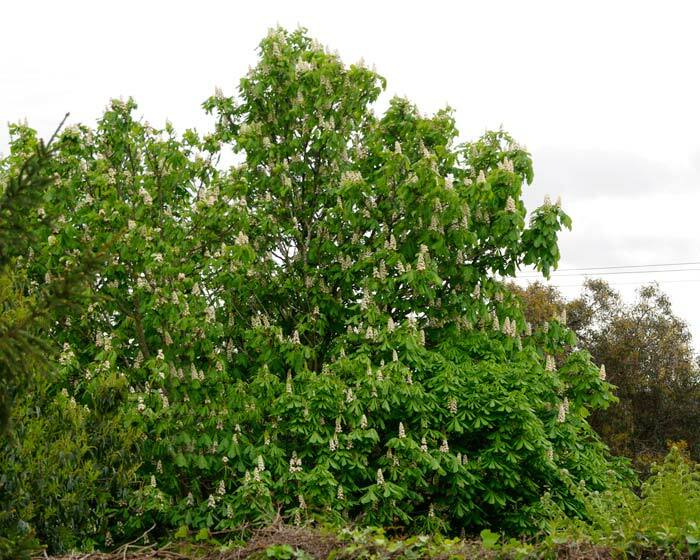 The leaves are large and palmately compound, while the creamy white flowers have a pink spot and are produced on erect panicles up to 20cm in height. Flowers are hermaphrodite and are pollinated by bees. 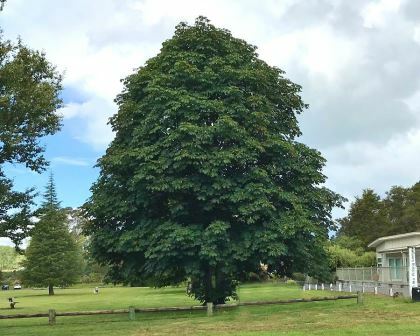 They make excellent summer shade trees and are a handsome addition to larger spaces where you can appreciate their outline and attractive foliage which turns russet brown in early autumn, making a wonderful autumnal sight. 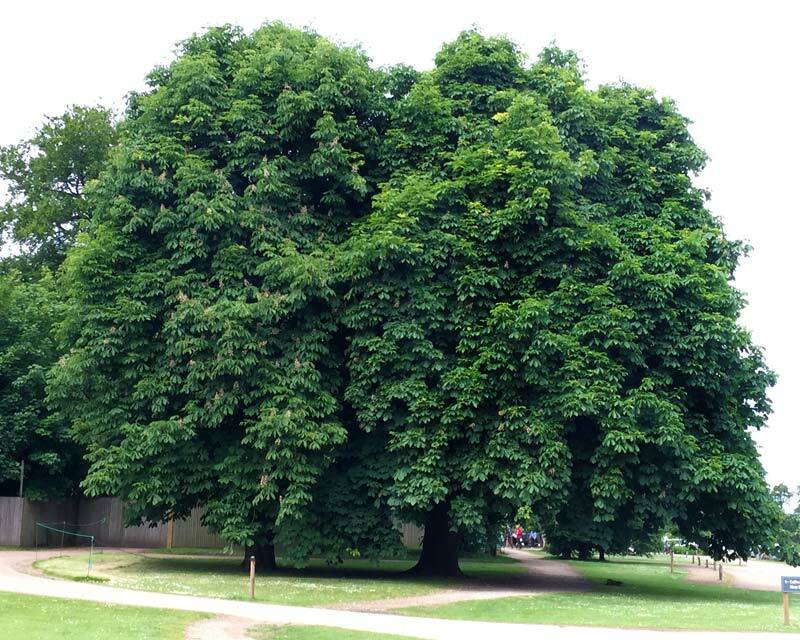 These trees are best known (at least by children in Europe) for their spikey green fruit that contain shiny dark brown nuts or 'conkers'. 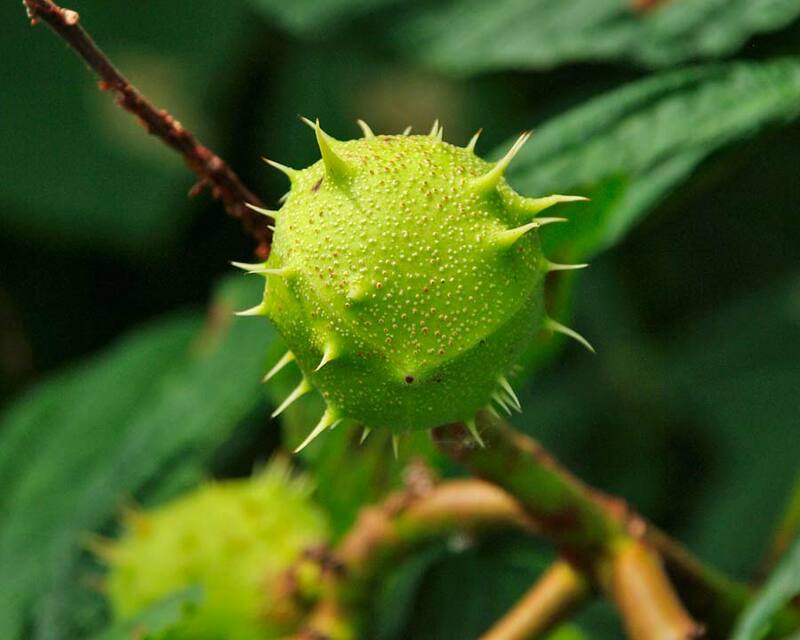 Conkers particularly when fresh and young contains toxins and should not be eaten. 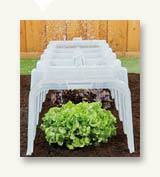 Soil: Will grow in all soils providing they are well drained, even nutritionally poor soils. They can tolerate air pollution and can handle strong winds, but do not like salt laden air. 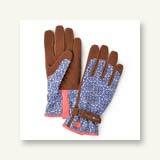 Maintenance: These are hardy and robust trees that require little or no maintenance. 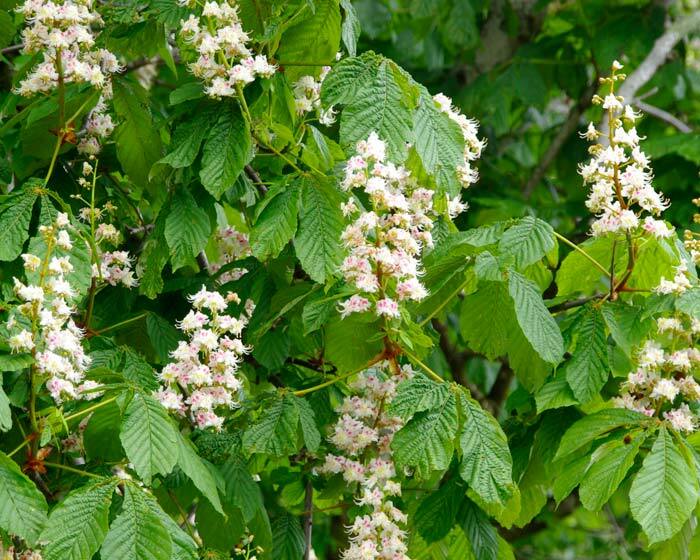 Other Species: 20 or so species in the Aesculus genus, mainly from North America and Europe. 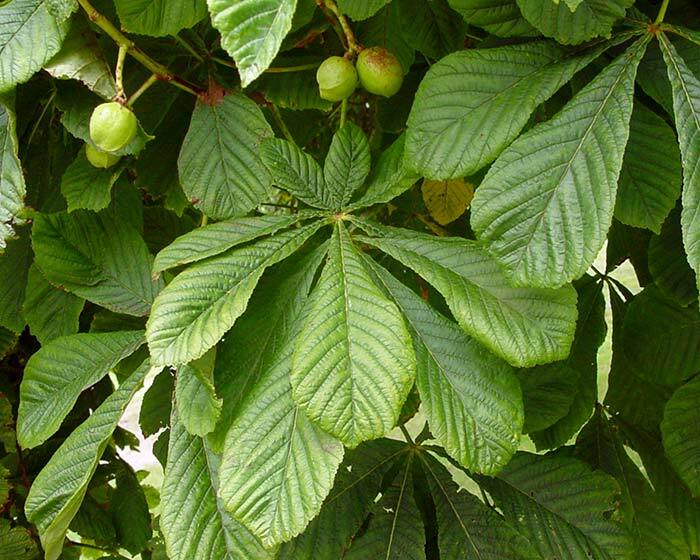 Although called a horse Chestnut, they are not Chestnuts, though distantly related. 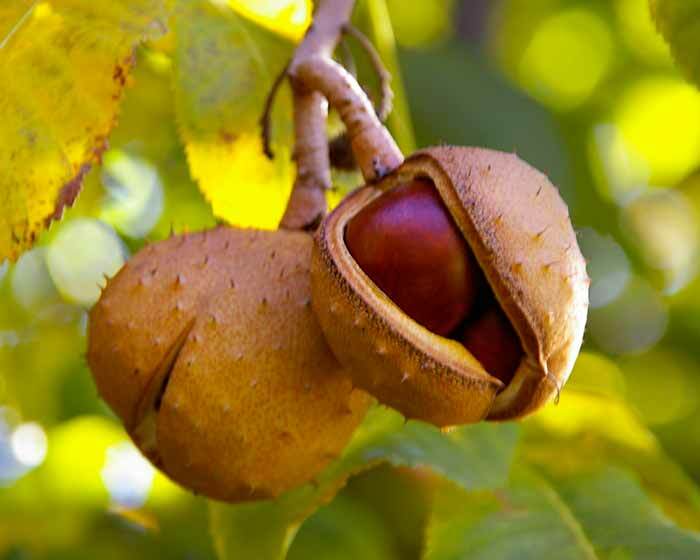 Comments: The seeds contain saponins which are midly toxic, but not fatal. 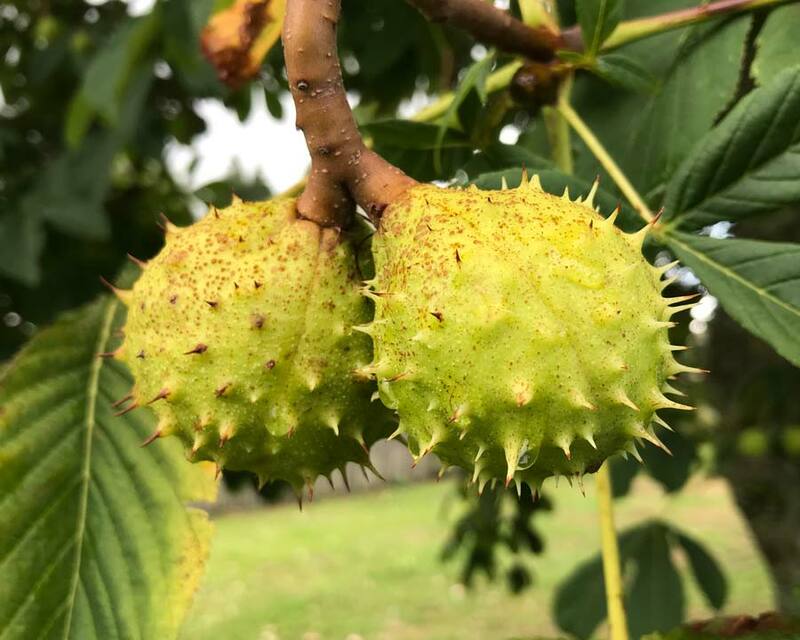 Seed extracts, once the saponins have been removed are effective in treating inflammation, fluid retention and varicose veins. The timber is soft and of little commercial use except for boxmaking and charcoal. 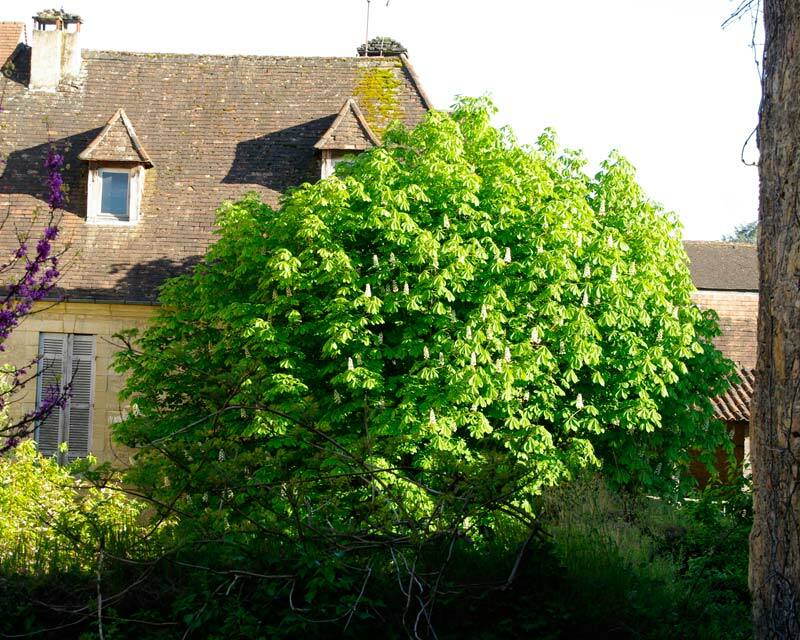 Aesculus hippocastanum - the Horse Chestnut tree, this one in the Dordogne region of France at Sarlat.